The centre comes with a lounge area, open plan offices and WiFi. In addition, you can take advantage of these open-plan, non-branded offices, allowing for maximum adaptability; perfect for companies of any background. At this centre, you will find hot-desks that you can use. Furthermore, there are many eateries close by in which you can entertain and impress clients; not to mention beauty spas and nail bars, all located on a wonderful high street with an exciting atmosphere. This is a highly sought-after centre, owing to its highly accessible location and unparalleled working environment. The units are located just off R512 and once at the unit, there is dedicated on-site parking for your convenience. This centre is accessible 24 hours a day, with round the clock security so you can work through late hours with peace of mind; perfect for companies with contacts across different time zones. 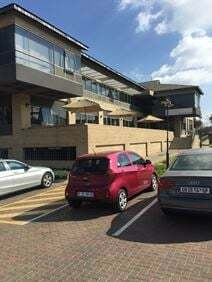 Close to Bryanston Shopping Park this centre is a peaceful base for business, providing large open-plan offices and co-working space in a locale favoured by companies from various business areas, including; technology, finance and recruitment. This centre offers flexible terms so that it can accommodate a wide range of business requirements. In addition, you can use its high-speed internet, secretarial team and beautiful lounge spaces. This business centre boasts a unique mix of industrial, office and retail tenants. Offices come in various sizes and can comfortably sit 2-8 people in an office. If you're looking to be based somewhere that you can network with other people and grow your business this is the place to be. The outside is landscaped and bustling with restaurants, cafes and offers an outdoor gym bringing suburbia to a former industrial area. Located just out-of-town in Johannesburg this modern business centre is conveniently located within a shopping mall and provides a range of meeting rooms, breakout areas, private suites and open-plan office space. The centre offers convenient parking, meeting rooms, a business lounge and a refresh area. The communal areas of the centre are great for networking with other professionals from a range of industries who also reside within the business centre. With excellent road connections for access to Sandton and the centre of Johannesburg, this business centre is located in an affluent suburb opposite the Coachman's Crossing shopping centre. At this centre you can benefit from a full range of amenities that will enable your business to flourish under the best conditions. This includes 24 hour access so that you can work late hours, for however long you want, as well as administrative support, IT support and videoconferencing facilities. Located within a provincial 108-year-old South African building, you will find modern and innovative offices where you can choose from a selection of beautiful workspaces. Whether you are looking for fully serviced and furnished private offices, fully equipped meeting rooms or collaborative coworking spaces, this centre is guaranteed to provide you with the perfect space for your business. You will benefit from bright and open work spaces, video conferencing facilities and administrative support. The nearest bus stop and train station are within walking distance and car parking is available. Situated close to an array of local businesses, including shops, restaurants and hotels, this centre is ideal for start-up companies as well as more established businesses. This is efficient, comfortable office space which comes with a range of excellent facilities so you can work in a peaceful, motivating environment. There are on-site conveniences to help you recharge throughout the day, such as the snack cafe where you can enjoy breakfast and lunch. This centre offers exceptional value and high quality office space on a flexible basis and benefits from an ideal corporate location, being in close proximity to a variety of amenities, facilities and local services. The centre features fully furnished serviced office suites and collaborative co-working areas, both of which provide access to the state of the art equipment and facilities present on site. The building is easily accessible and also provides virtual office services to clients wanting to benefit from a prestigious business address. This Hyde Park address offers a prestigious location for your business and is around 30 minutes to Rand Airport and O R Tambo International Airport. The workspaces available are a mix of hotdesking options and serviced suites. Your business can take advantage of the space's 24-hour access/security, administrative support, conference facilities, IT support, copy and printing facilities and secure parking on site. The building is central to major business areas full of companies with which you can network. Conveniently located in a renowned and fully serviced area of Johannesburg, this modern business centre is surrounded by gym facilities, banks, companies, leisure facilities and shops. Fully furnished to a high standard and technologically equipped, it offers first-class office spaces, ideal for companies and entrepreneurs. It is easily accessible and is well connected to the motorway network and to the airport. The center is all inclusive, accessible 24/7 with administrative support to help your business run as smoothly as possible under your terms. The space provides reception services as well as board rooms in which to host collaborative meetings. There are also many local amenities that are close at hand. The area is abundant in places to eat and relax outside of work. There is also parking by the space for your convenience, giving you peace of mind for your commutes. This business centre, located only 30 minutes away from Sandton, offers modern and innovative office solutions. You can work in a professional and productive environment without huge capital investments or the commitment of long-term lease. Flexible terms allow you to stay however long you want and you can scale up your workspace as required by the growth of your business. You can pick a private and fully furnished office, equipped with everything you need to work effectively - or you can work in a collaborative coworking space within a community of like-minded entrepreneurs. You can also benefit from this prestigious address using virtual office options. This centre is easily accessible from the nearby N1, and enjoys high visibility from the freeway. This is a contemporary building in a gated office park. The centre provides a range of workspaces to suit your business needs. Businesses on the park cover all sizes and sectors, from SMEs such as legal practices to a national leader in mobile financial solutions and a medical research organisation. The OR Tambo International Airport is approximately 35 minutes away. This upmarket and growing suburb of Johannesburg includes a range of amenities such as a noted shopping mall and hotels. This modern and inspiring business centre offers a variety of office solutions, with offices ranging from 10sqm to 250sqm. Furniture can be customised upon request and the spaces are ideal for teams of any size. The business centre has on-site restaurants which make for the ideal place to take your lunch break, and the location also offers great local amenities. The Carlton Centre shopping mall is found within walking distance, which offers great shopping and leisure activities. This business centre offers serviced office at affordable rates. The space is accessible 24 hours a day so is suitable for any working hours, you can come and go as you please! Here, you can make use on of on-site meeting rooms. If you meet with clients often you can book out a professional and confidential environment to conduct meetings in. The offices are located in the heart of Johannesburg meaning commuting to and from the office is quick and easy. With the space itself offering on-site parking and the nearest Train Station only three-minutes walk away. You can get in and around the city in next to no time! These offices come unfurnished so they are as adaptable as you need them and come with WiFi to keep you well connected at all times. This exclusive building houses more than 50 interdependent contemporary artists in private workshop spaces. Sizes of the units start from 20sqm and work their way up 400sqm. The surrounding area has many art galleries and other public interest hot spots which you can enjoy outside of work. Minutes away from a large mall and just a short drive from the centre of Johannesburg, this modern office space is designed to help your business achieve a good balance under the best conditions. It is surrounded by a wide range of restaurants, cafes and eateries. Within the space, you can take advantage of 24-hour access as well as IT support, beverages, telecoms for efficient communication and meeting rooms. The centre has an abundance of high-end hotels, perfect for visiting clients, as well as conferences, conventions and networking events. This new and innovative business centre is designed to provide you with all the facilities you may need. There are several bespoke packages including very flexible terms, all inclusive fees and a range of services. Reception services are provided by a professional team of staff and you can stay connected at all times with reliable internet and telephone connection. You will also benefit from communal areas including lounges, kitchenettes and outdoor space. There is disabled access and facilities in the centre and car parking is also available for customers. The impressive Fourways mall is found just across the road, containing everything you need for your working day. There are several trendy restaurants, cafes, bars and hotels in the area. Halfway between Johannesburg and Pretoria, in the heart of Midrand's growing commercial area this modern brick building is ideal for any company that does business in both cities. There is a lovely decked area and beautiful landscaped grounds for tenants to relax in away from the private executive suites and open-plan office space. Your business can also benefit from 24 hour access, allowing you to operate at whatever hours your company requires. This business centre is situated in a heavily populated area of Guateng, close to many amenities and excellent transport links. The centre occupies an attractive red and cream coloured brick building, with a light and airy lobby area and modern furnishings throughout. There are board rooms, IT support, an on-site management team and hot-desk options, setting the benchmark in accommodating work space solutions. This centre is centrally located in a historic Johannesburg suburb, close to many amenities and just 30 minutes from the airport. This centre is based on the first floor of a low-rise building in a pleasant development that is home to a variety of business neighbours. Included in the office is furnishings with an ergonomically designed furniture. Electricity, heating, water and air-conditioning. With a welcoming reception area, business lounges and breakout spaces with a common area all maintained to a high standard and available to use at no additional cost. Facilities are managed from security to cleaning, a support team is on hand to deliver dedicated support to your business. Located in the Metropolitan Park on Hillside Road this business centre offers modern and innovative office solutions. Here you can choose a professional workspace that suits your needs, whether you are looking for desks in a collaborative coworking setting or private offices. You can easily book meeting rooms with the use of an app, and work on the go in a beautiful business lounge. There are stunning communal areas including courtyards and roof terraces. The surroundings offer plenty of amenities including restaurants and theatres. Secure underground car parking is provided by the centre and public transport is within walking distance. Close to the Morning Glen and Sunninghill shopping centres, offices are comfortable and spacious, and a tea and coffee service is available to clients. The entrance to the building is via access code and to the complex by guarded security, providing safe and well-managed environments to work from, and parking is also available. The area also hosts a range of accommodation and hotels within close proximity to the centre, as well as Austin Park and Pinewood Park. Only five minutes from the Gautrain and located on the corner of Jan Smuts avenue and 7th street in Rosebank this newly-built stylish and trendy office space sure to impress your clients. Tenants have access to a wide network of investors, entrepreneurs and large South African corporates. This is the perfect workspace solution for companies that value practicality within an attractive, comfortable space. Located in the heart of Sandton's CBD and within walking distance of the major financial houses, these prestigious offices benefit from a great location in the premier business area of Johannesburg. This comfortable site offers comfort cooling, carpeted workspaces, copy and printing facilities, kitchen, IT support, multilingual staff and reception services that will handle your incoming telephone calls and visiting guests. 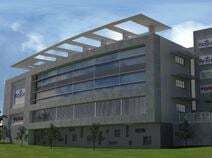 The site is an accommodating and contemporary building complex in the peaceful Fourways region of Eastern Johannesburg and is home to a number of successful companies in the marketing and advertising industry. The site provides reception services, spacious meeting rooms, conference facilities, secure parking, and high speed internet. There is also air conditioning for optimum comfort throughout the year. Transport links are very good with regular and convenient local bus and rail services operating in the area, as well as the centre being particularly accessible by road. A wide range of office spaces of various sizes is available to let in this stylish building. The building consists of boardrooms, on-site café, terrace, 24/7 security, parking facilities, offering a highly serviced and efficient working environment. Fully furnished to a high standard and equipped with the latest technology solutions, they are provided with meeting rooms, boardroom, state-of-the-art technology, print/copy facilities and parking area. They are conveniently located in a dynamic area which hosts shops, restaurants, cafés and a variety of other facilities. In the heart of the northern suburbs this business centre provides well equipped and furnished private and open-plan offices with on site-facilities including meeting rooms. Set among vast green parkland the setting creates a peaceful business environment from which you can be highly productive. The business centre also offers virtual office options, which, along with all the other office space options, are available on flexible terms, for your convenience; perfect no matter what size or type of company you may have. Surrounded by all the premium shopping areas of Hyde Park, this modern business centre provides spacious air-conditioned offices on a quiet and prestigious street. A perfect networking environment for tenants who demand a pristine facility with friendly and professional staff. Fully equipped boardrooms, with spacious air-conditioned offices, coffee stations and kitchens in every office wing. Lovely entertaining areas, access control and alarm systems, high speed internet and on-site IT support. These units are all located on ground floors and have roller shutter access. The units are spacious and there is dedicated on-site parking for your convenience. The centre has round the clock security so you can work through late hours; perfect for companies with clients across different time zones. Within walking distance, there are also many shops and suppliers providing all the mundane amenities you could require. 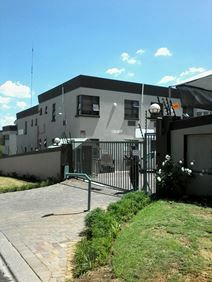 A selection of first-class offices is available to let in this attractive business location of Johannesburg. Available at flexible rental terms, these brand new offices offer a professional working environment, provided with a full range of business support services to assist your company in your daily activity. Close to all major amenities of the city, they are surrounded by leading companies, offices, hotels, restaurants and shops and are excellently served by public transport. A selection of stylish offices is available to let in this impressive building, located in the heart of Johannesburg's business district. These offices offer high quality virtual office solutions and all the services needed to run a successful business. Provided with spacious meeting rooms, videoconferencing facilities, business lounge, smoking area, lunch service and parking facilities, they offer a highly professional environment. Surrounded by shops, hotels, restaurants, banks and a variety of amenities, they benefit from excellent transport connections to the airport, the city centre and the major motorway junctions. This centre is perfect for forward thinking businesses that value collaboration, efficiency and accessibility. The workspace pricing provides quality amenities, including 24-hour access for your convenience, high-speed internet, shared kitchens, private meeting rooms, plus a drop-in business lounge open for your use at all times. There are reception services available to help your operations run as smoothly as possible, as well as IT support on-site to keep you well connected. This centre is situated on the north western corner of the greater Montecasino development precinct, in an upmarket suburb of Fourways, Johannesburg. This centre offers the ultimate in workplace convenience, with a range of amenities within close proximity. You will benefit from many hotels, events venues and other cultural hot spots within walking distance. This highly accessible space is also very close to many road links. Strategically located in one of the most dynamic business districts of Johannesburg, this building offers fully furnished offices and spacious meeting rooms. Provided with a wide range of facilities, including business lounge, on-site bar and smoking facilities, this building offers virtual office solutions and numerous other services to help you run a successful business. Directly situated along the motorway, they benefit from excellent connections to the airport and to the city centre and are surrounded by a variety of amenities. Located in a dynamic business district, this business centre offers stylish offices, a large open-plan office space, meeting and conference rooms and elegant reception. Equipped with the latest technology and IT systems, this centre offers highly professional and efficient office solutions for companies and entrepreneurs. It is elegantly designed and benefits from a proactive community. There are lots of shops in the area for easy access to suppliers throughout your occupancy. Situated within a thriving lifestyle and entertainment area and only a two-minute walk from the Rosebank mall, this centre offers exceptional working facilities, ideally located in a much sought-after area of Johannesburg. This stylish and contemporary centre combines luxuriously furnished interiors with an exceptional range of professional on-site facilities. Monthly events are held by the centre, focused on networking, collaboration and wellness. This business space provides a thriving community, consisting of creatives, entrepreneurs and freelancers with which you can network. Your membership will include access to a comfortable environment that features conferencing rooms, lounges, meeting rooms and a wellness room where you can take a break. You will receive ongoing support from a team of support services, such as a reception team. The centre is easily reached by public transport with the Rosebank station just around the corner, and there is parking onsite for easy commutes. This space, ideally located just south of and visible from the M2 highway in Selby, is highly sought after for its location and well-equipped offices. The spaces are accessible 24 hours a day, making it a flexible working environment you can come and go as you please. These offices are highly adaptable and come unfurnished, making it the perfect workspace solution for businesses of any background. The centre of Johannesburg can be reached by car in only 16-minutes. Once in the city, there are many local amenities to explore. At this space, many day-to-day amenities found within walking distance. There are lots of public transport links so commutes are easy and straight-forward. In addition, there is on-site parking for easy access. There is a unique showroom space for conferences, events and celebrations at this space. This centre is available on flexible terms for maximum convenience. Everything you need will always be within reach. Located on Rivonia Road this business centre is easily accessible, just two minutes from Grayston Drive, provides flexible and contemporary space, and makes an ideal home for both local and international companies. This centre has flexible lease options available, no setup fees, a full complement of staff to run the centre (GM, IT support, receptionist, cleaning), a 24-7 generator and fibre optic internet. This business centre is opening soon and will provide tenants with furnished and flexible workspaces in one of Johannesburg's most affluent business and residential suburbs. There are a number of major brands and technology start-ups already in the area. This space is accessible 24 hours a day, equipped with beverages, air conditioning, administrative/IT support and a secretarial team that will manage and handle your visiting clients with the utmost professionalism. A dynamic business centre situated in Sandton nearby to several other enterprises in a vibrant commercial district. This centre provides furnished office-spaces available to let on flexible terms. Tenants can make use of high-speed internet available, as well as meeting rooms, business lounge and reception service. Parking is also available. In addition, the area is well connected via major road links and public transport. Local amenities can also be found in abundance including several restaurants, fitness centres and retailers. This business centre is well served by public transport and is also close to the N1 highway interchange. The centre occupies a mixed-use development, with many excellent facilities including impressive reception and atrium. This is a prestigious and comfortable working environment, ideal for a range of business types and sizes. Within the area, there are lots of shops to visit, as well as an abundance of restaurants in which you can entertain and impress your clients. A perfect networking environment for tenants who demand a pristine facility with friendly and professional staff. Fully equipped boardrooms, with spacious air-conditioned offices, coffee stations and kitchens in every office wing. Lovely entertaining areas, access control and alarm systems, high speed fiber internet and on-site IT support. This modern Grade A building provides serviced designer offices next to the Fourways mall and a number of restaurants. Looking out onto a picturesque river, this centre is well maintained. This centre is situated within a vibrant area of Sandton and provides a diverse range of professional services to be taken advantage of including; meeting rooms, high-speed internet, 24-hour access, dedicated reception desk, kitchen area and conferencing facilities. The location is ideal for your developing business, close to several other commercial entities and surrounded by public transport links and local amenities including retail outlets, shops, libraries and other useful services. The Grand Central Airport is a short drive away, allowing your business to maintain global connections with ease. Within walking distance of Nelson Mandela square this modern building houses a centre spread over two floors offering spectacular views. There are 88 offices in a variety of configurations, reception area, meeting rooms and a ten-seater boardroom. The common areas include fully serviced and equipped kitchens, bathrooms on both floors as well as a stunning balcony. Getting to this centre couldn’t be easier, thanks to an excellent road infrastructure and direct links to major roads in the city. This building accessible 24 hours a day 7 days a week offers both co-working and private offices and affordable rates. 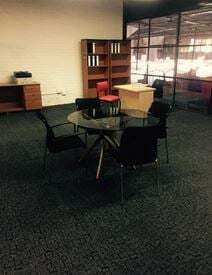 Office here come fully furnished with modern furniture. Spread out across 6 floors with an on-site cafe on the ground floor this business centre is a great place to network with other like-minded people and grow your company professional. Here, you also have access to on-site meeting room and smaller meeting pods. The centre is easily accessible by both car and public transport. Within walking distance you'll also find many local cafes, bars and restaurants to try out with your team and clients. Here, you are supported by an on-site admin team who can assist with anything you may need. The office suites come fully furnished to the highest standard and you can also make use of the on-site meeting rooms. Hyde Park is very well located within walking distance of shopping malls, hotels and restaurants and 4-minutes drive to Sandton. You can make use of the secure parking. If you use public transport there is a bus station right outside the building, with buses running through the area often. Flooding the space with natural light are floor-to-ceiling windows at this centre based at the heart of a busy commercial district in Johannesburg. Conveniently placed directly outside the office is a bus stop, while the train station is just a short walk away. Furthermore, your business can benefit from well-designed offices that provide beverages, 24 hour access, reception services and IT support. Only a 10-minute drive from O.R. Tambo International Airport this prestigious centre is situated in the trendy area of Bruma. Offices are fully serviced and overlook beautiful gardens while a number of on-demand meeting facilities are also available. Within the immediate area, you can find many restaurants and hotels in which you can accommodate your visitors. 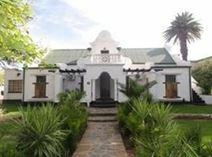 At close quarters to the space, there is the Morninghill Country Club where you can socialise with like-minded colleagues. Johannesburg is located a 40-minute drive away from Kya Sands so your company can remain connected to the buzz of inner-city life. The site is accessible 24 hours a day so you can come and go as you please; perfect for those with contacts across different time zones. There is also a kitchenette inside of the units so you can recharge throughout the day. Within walking distance, you will find a handful of local cafes, as well as several restaurants where you can entertain and impress clients. This Johannesburg suburb location is just 20 minutes from the centre of Sandton and allows for a more relaxed environment than the centre of the city while still being easily accessible. The modern business centre provides a mix of co-working and fully furnished executive suites. Your business can also benefit from this centre's 24-hour access and IT support, so you can work with peace of mind no matter what time of day, and stay well connected throughout your operations. 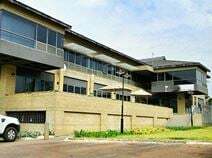 This is a selection of offices is available to let in Weltevredenpark, a renowned and fast growing business area, which hosts companies, offices, shops and a variety of amenities. These offices are provided with kitchen, boardrooms, conferencing facilities, advanced technology systems and reception area with professional staff available to support your business. Close to the airport, this space is also the ideal workspace for travelling professionals who need somewhere to drop in and work efficiently. An impressive centre located in a beautiful northern suburb of Rosebank. This building provides a variety of office-space solutions at affordable prices. All the featured work-spaces benefit from 24-hour access, high-speed internet and conferencing facilities. Spacious meeting rooms are also available for booking which are great for collaborative purposes. 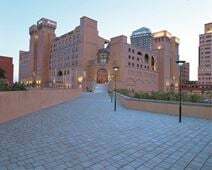 In addition, the area is vibrant and filled with luxurious hotels and retail outlets. A large shopping centre is featured adjacent to the centre providing plenty of useful local amenities. Transport links are also numerous in the local area. This centre is offering 7 individual units of equal size with roller shutter doors are a great space for workshops and industrial needs. The offices are accessible 24 hours a day so you can come and go as you please. Here, you can make use of the day-to-day amenities and local attractions; the high footfall from which your business will surely benefit. The site offers dedicated on-site parking and is located just off River Road. Perfectly located on Vervoer Street, the units are easily accessible by both car and public transport, buses run through the area often. Here, the centre is accessible 24 hours a day and you can also make use of the on-site parking. You can also take advantage of the centre's wifi, provided so that your company can remain connected throughout its occupation. There are also several hotels at close quarters to the centre where you can accommodate your guests and visiting clients. This high-quality modern building provides a range of office space solutions in a secure location; accessible 24/7 with 24-hour security. With easy access to other major conurbations and just 12 miles from an international airport, this centre is ideally placed for your business. With company signage, there is also IT support, an on-site management team, secure on-site parking, meeting rooms, kitchen and telecoms. This is the perfect business space for forward-thinking companies that value convenience and comfort. A striking-looking Tuscan hilltop village design makes this business centre in the upmarket Montecasino development an impressive location for your business. Tenants have great on-site facilities, meeting rooms and customisable serviced office space. Featuring many great on-site facilities include meeting rooms, a business lounge and refresh bar. A selection of offices is available to let in a renowned and modern business district in Johannesburg. Elegantly furnished and equipped with state-of-the-art technology, these first-class offices are provided with meeting and conference rooms, business lounge, terrace and offer high quality virtual office solutions and a variety of other services. They benefit from easy access to the major motorway junctions and are well connected to the international airport.